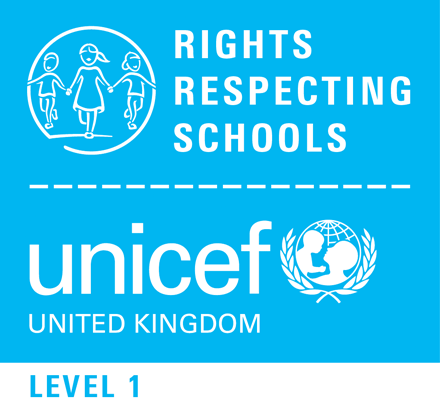 Miss Hiscock (Headteacher) led assemblies at the beginning of the week to start us thinking about this important time. During registration times tutors were able to follow this up further with presentations prepared for them by the Humanities team. On Friday 9th November we gathered in the Main Hall for the Remembrance Assembly led by Mr Murdoch-Smith. This also included readings by pupils and we all marked two minutes of silence on the sound of a bugle. 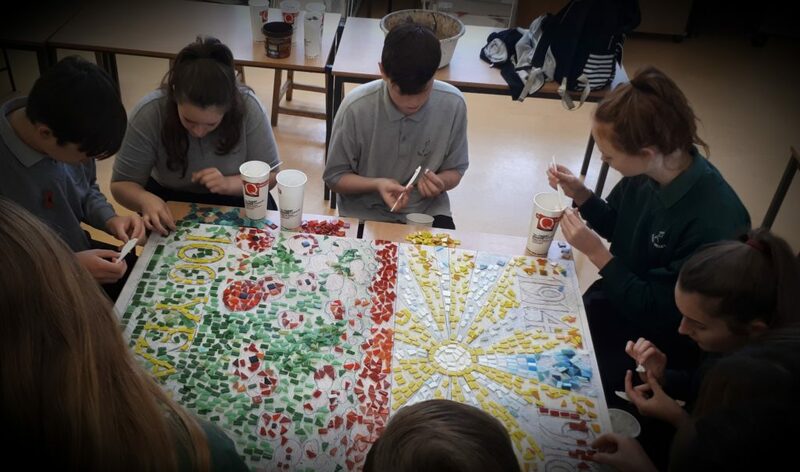 Pupil representatives from all Key Stage 3 year groups worked with the Art department and Year 10 pupils to create a Remembrance Mosaic. This will be displayed in school once fully completed to mark this centenary anniversary of the First World War ending. 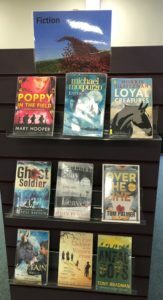 During Remembrance Week, pupils were able to visit the library and make a poppy for the library display and take part in puzzles, including codebreaking. There were also a number of new displays, featuring fiction and non-fiction books about the First World War. 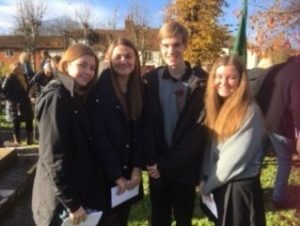 The Head Prefects and Deputy Head Prefects attended the Remembrance Service at St. Peter’s Church in Stockbridge with Miss Hiscock (Headteacher) on Sunday November 11th. The pupils were invited to read the poem The Crosses by Bill Minton during the service and to lay a special poppy wreath at the memorial. 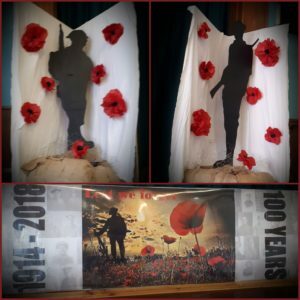 A large number of our pupils also participated in services and parades across the local area with their own families and as members of other local organisations.